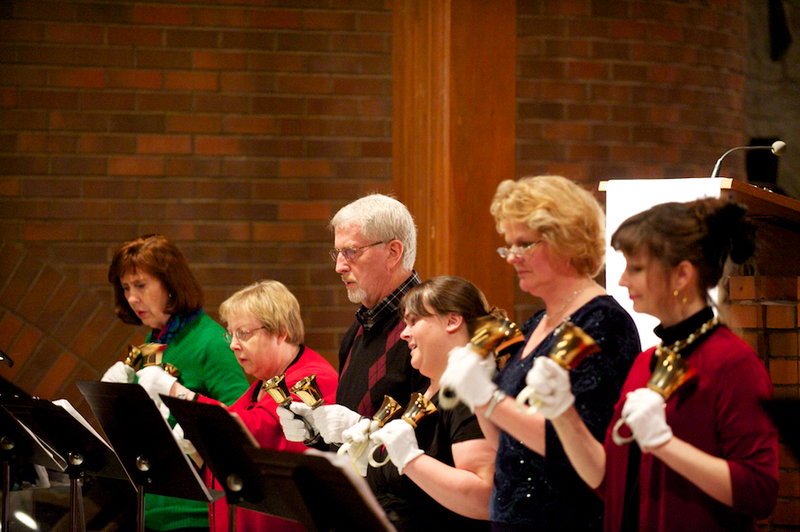 Our handbell choirs add to our worship experience by accompanying hymns, leading liturgy and providing service music during preludes, communion and other special events. Basically operating during the school year, handbells lead in worship on various Sundays, spread out among the three services based on the best fit for the worship experience. Choir 1 rehearses on Wednesday evenings from 5:45-6:55 in the Fireside Room. A second choir is hoped for if a time to rehearse can be found for those interested. Rick Burchett directs the bells, having just completed 30 years of bell choir direction, including ages fourth grade through eighty plus.